Emily Wasz is going big and she’s not going home. The Clarendon Hills native was recently named to Team USA for the 2018 World University Rowing Championships and will compete in Shanghai, China this month. But the sport in which Emily plans to medal isn’t what she thought it would be four years ago. Raised in Clarendon Hills and attending Hinsdale Central High School, Wasz played volleyball, basketball, and track. Her goal was to play basketball in college, but then fate stepped in and led her down a completely different path. 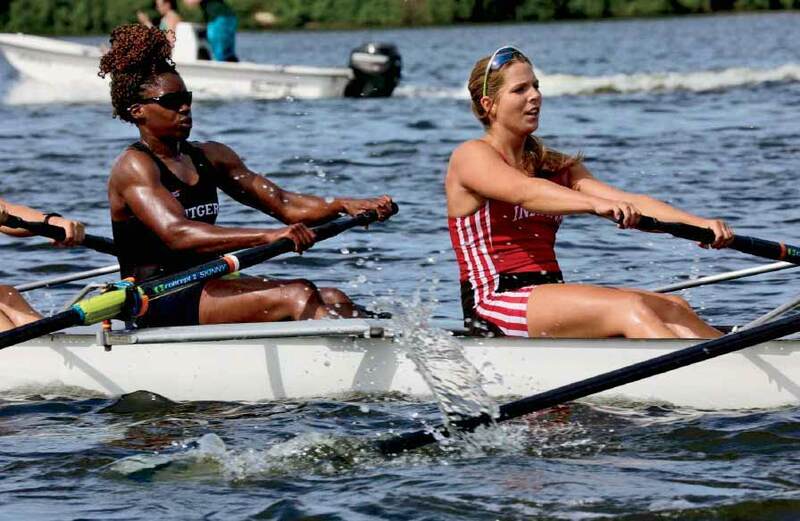 Wasz experienced much success while rowing for Indiana University, which qualified for the NCAA five years in a row. So for four years, Wasz was part of an elite team of rowers. She is among the middle rowers of the rowing team (in a section dubbed “The Powerhouse”) as five-seat on starboard. 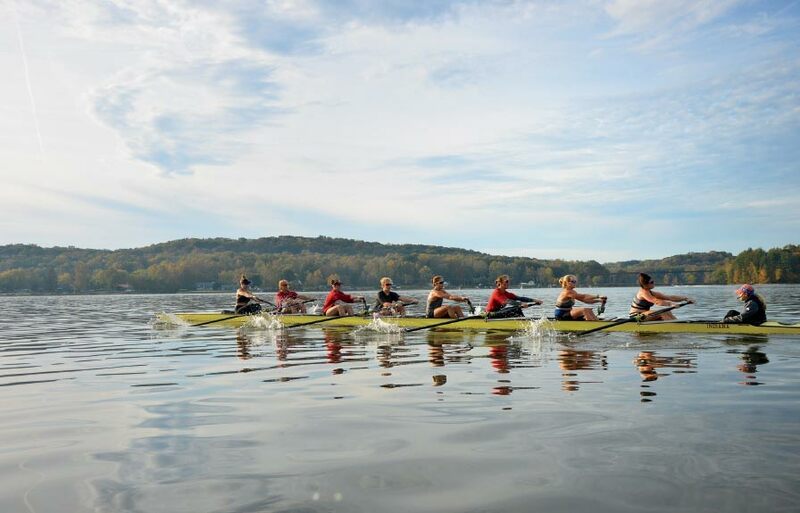 While at IU, her boat placed 12th in the nation last year. Heeding the advice, Wasz was invited to the University of Notre Dame where she was able to showcase her talent in front of national team coaches. She completed a series of three tests on the ergometer machine, or “erg,” where national coaches rank the athletes and contact them if interested. Wasz received a callback. They liked what they saw and wanted Wasz to pursue USRowing. But Wasz realized she was three days too old to be on the U23 team by the time she got the call. So it was a letdown. 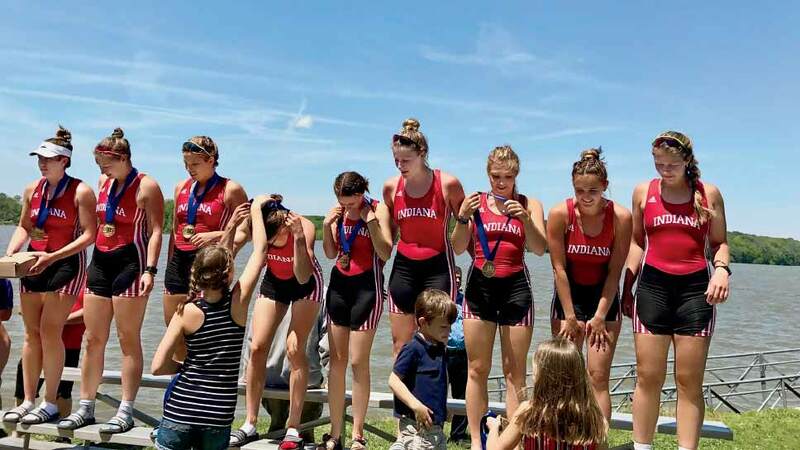 Not to be deterred, Wasz soon discovered the USA University Rowing Championship team which has the same training, same caliber competitions, and occurs once every four years like the Olympics. “It’s an all-star team for the national collegiate pool. It’s for anyone who recently graduated college or who is currently in college pursuing a degree,” says Wasz. Wasz is now one of 15 women and 24 men who have been hand-picked to represent the United States in the 2018 World University Rowing Championship in Shanghai, China on August 10-12th. Wasz, who is spending the summer training in Ann Arbor, Mich., will participate in the 2,000 meter First Eight competition in Shanghai. Wasz credits her family, her roots in Clarendon Hills, and her athletics in high school for starting her on this journey to China. When the Indiana University coach first reached out to Wasz four years ago about rowing, the first thing Wasz did was Google rowing. “I said to myself, ‘Oh, it’s those long boats,’” laughs Wasz.